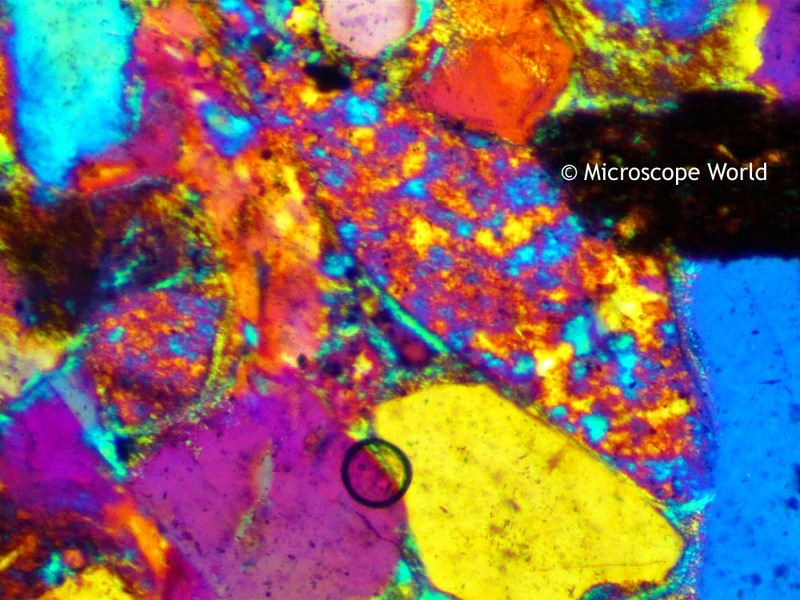 The thin sections of rock shown below were captured using the Fein Optic RB40 polarizing microscope. 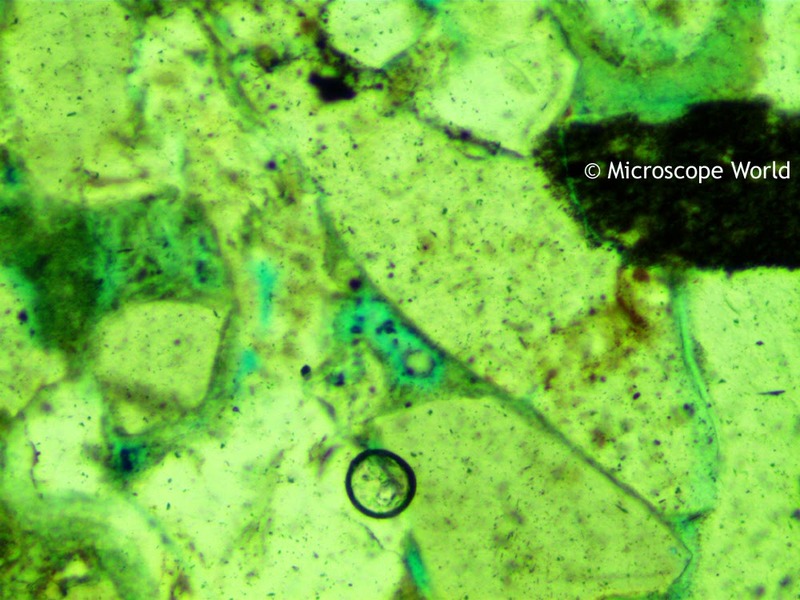 All images on this page were captured using the DCM3.1 microscope camera (3 megapixels). 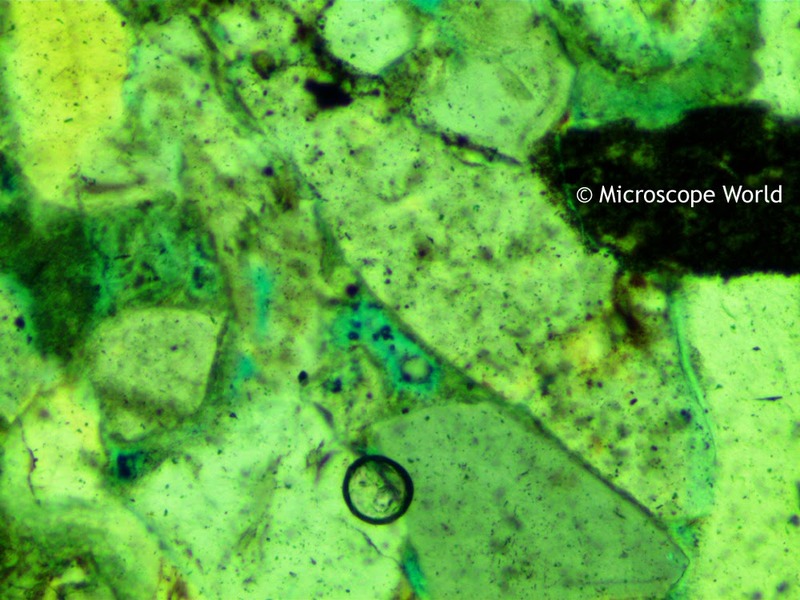 Geology thin section using the 1/4 wave plate under the R40POL polarizing microscope. 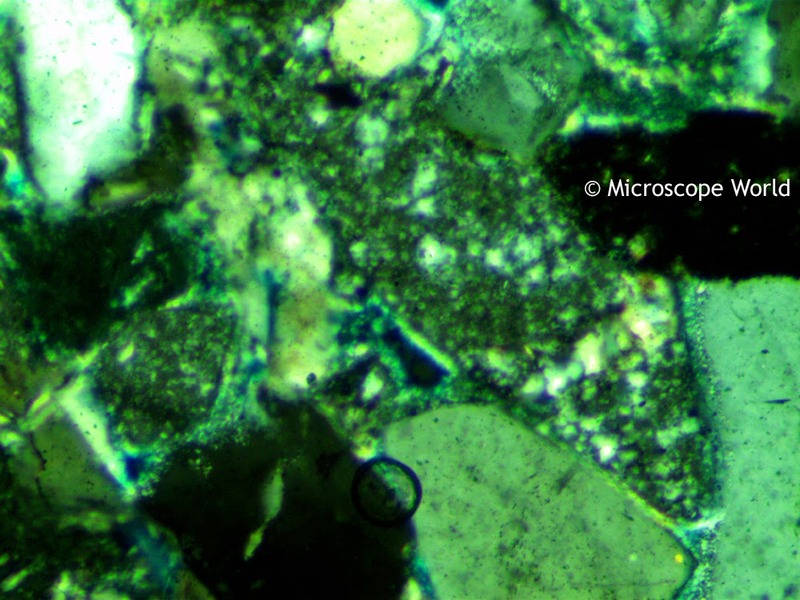 Geology thin section using the full wave plate and full polarization under the R40POL polarizing microscope. 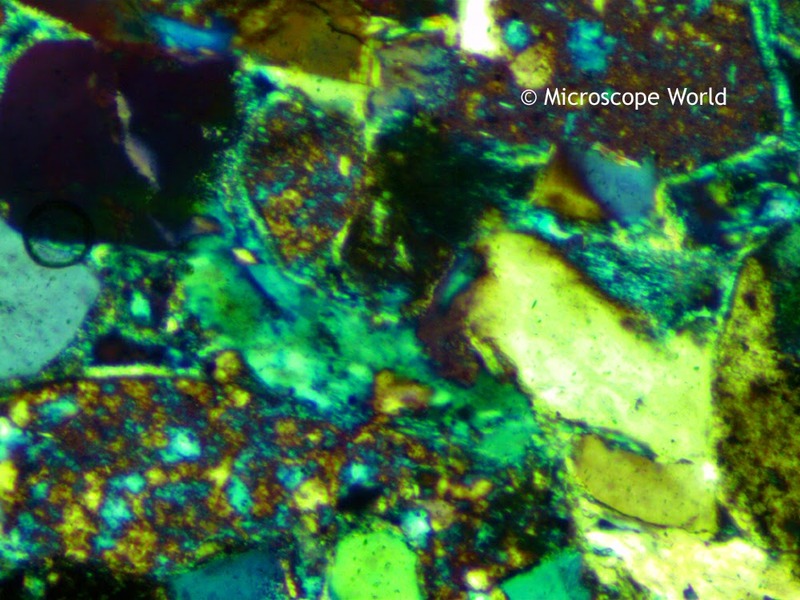 Geology thin section using the full wave plate under the R40POL polarizing microscope. 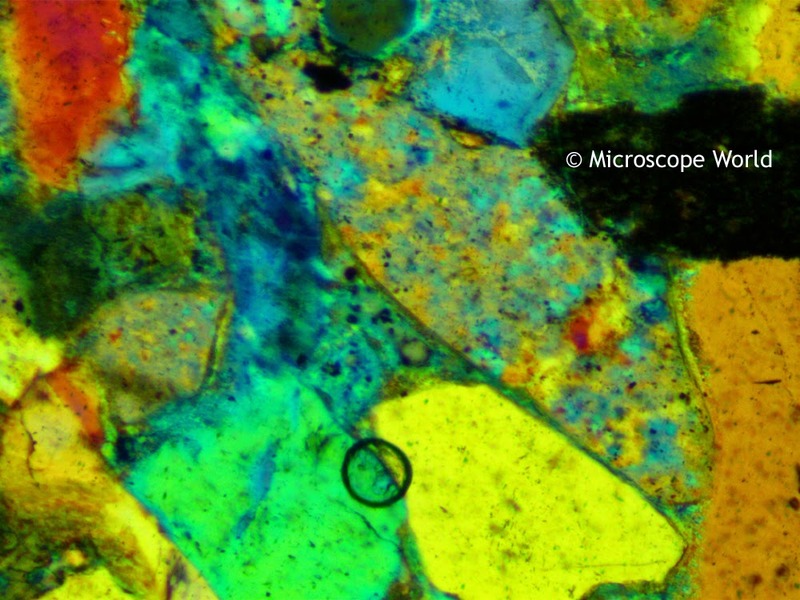 Geology thin section using polarization with the R40POL polarizing microscope. You can learn more about polarizing microscopes here.